These are five pots hooked on a metal planter that is already mounted on a wall. This does not look like an expensive gardening idea. 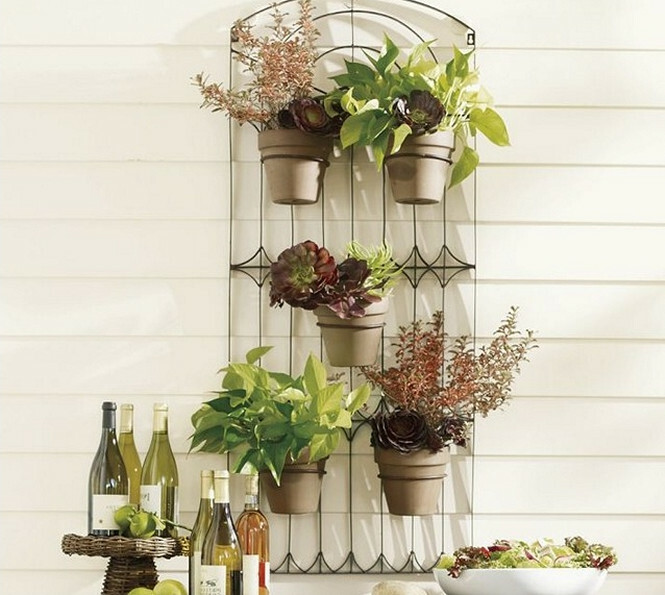 If you have a metal planter like this, the next thing will be choosing pastel colored pots that are already hosting flourishing flowers and hang them on it. Two pots should be hanged at the bottom, one in the middle and two at the top.